The NFL landscape is littered with quarterbacks who have failed to live up to the hype built off of impressive college careers and first-round draft picks. On April 30, Marcus Mariota will become the first Oregon quarterback to carry such high expectations into the NFL since Joey Harrington was selected with the third overall pick by the Detroit Lions, back in 2002. But, as Harrington showed in his short time in Detroit, hype can quickly turn to unfulfilled expectations when a team isn’t built to support a rookie quarterback. When it comes to Mariota, in order to prevent himself from landing with a franchise, he may need to be outspoken about his team of choice. Fortunately, there are some quarterbacks preceding him who may have guidance. 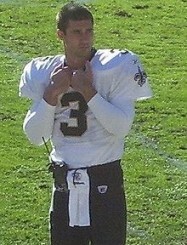 Harrington finished his NFL career as a perennial backup. John Elway entered the 1983 NFL draft as a clear-cut first-round selection, and the team that owned the first choice that year, the Baltimore Colts, made it clear that they intended to take Elway with that pick. However, Elway had different ideas, and his mold-breaking agent, Marvin Demoff, concocted a plan that forced the Colts to deal Elway to a franchise he wanted. By combining an offer from the New York Yankees to play right field, with John Elway’s public announcement that he would prefer to stay on the West Coast, Marvin Demoff created the necessary leverage to get Colt’s owner Robert Irsay to strike a deal with the Denver Broncos. It was an undeniably bold gambit by Elway and Demoff, but one that ultimately paid off over the course of Elway’s 16 Hall of Fame seasons capped by two Super Bowl victories. During that same span, from 1983 to 1998, the Colts switched cities from Baltimore to Indianapolis and cycled through more than a dozen different quarterbacks before drafting Peyton Manning out of Tennessee. The 2004 NFL draft has more in common with the 1983 class than just a slew of cornerstone quarterbacks. The ’04 draft also saw top quarterback Eli Manning clearly state that he did not want to play for a particular franchise. The San Diego Chargers held the first pick in the draft, and in the days leading up to the draft made it known that they had their eyes set on Manning. Unfortunately for San Diego, Manning was adamant that he would not play for the Chargers. Both Manning’s father Archie Manning and his agent contacted General Manager A.J. Smith to explain that using the first pick on Manning would be a waste. San Diego did still draft Manning, but the team decided not to call his bluff, instead trading the pick to the New York Giants for Phillip Rivers and three other drafts. More than 10 years later fans still debate who got the better end of the trade, but Eli Manning’s two Super Bowl victories with the Giants make it hard to argue that he made a mistake. 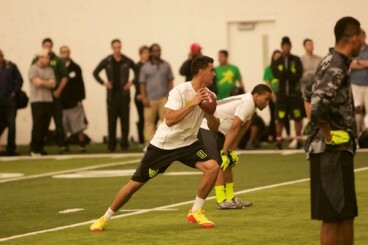 Mariota showed his ability to take snaps from under center at the Oregon pro day. The history lesson for Marcus Mariota is clear: Fortune favors the bold and the outspoken. At the time, these moves created controversy and critics. In the ESPN “30 for 30” film Elway to Marino, when fellow Hall of Fame quarterback Terry Bradshaw was asked what he thought of John Elway’s holdout, he answered “For a guy like Elway to come out and say, ‘Well, I want to be out on the West Coast, and I want to be on the beach and I’m a California boy’ — well who cares what you are? … You should play baseball. 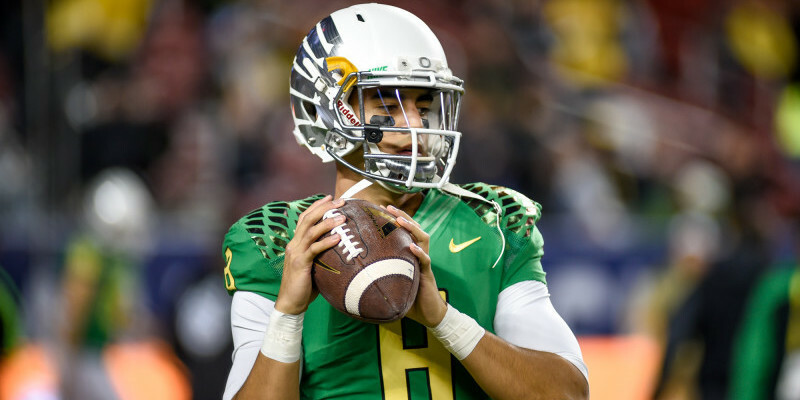 Because in my opinion he’s not the kind of guy you win championships with.” While causing a stir about his team of choice may go against Oregon fans’ expectations of Marcus Mariota, history tells us it might be worthwhile for this Duck to ruffle some feathers.